What is a FIFA Preferred Producer? 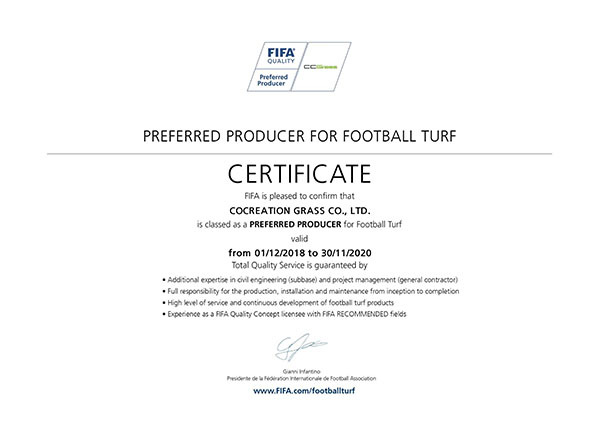 The FIFA Preferred Producer (FPP) initiative was introduced in 2009 in response to the increasing demand for higher quality, not only in the product itself but further in the installation process of football turf. The overall objective is to protect the interests of consumers when purchasing pitches while ensuring that the the football turf pitches meet high requirements regarding quality, performance and safety. Artificial turf is manufactured and tested according to FIFA Quality standards. Production facilities are inspected by independent FIFA approved inspectors. 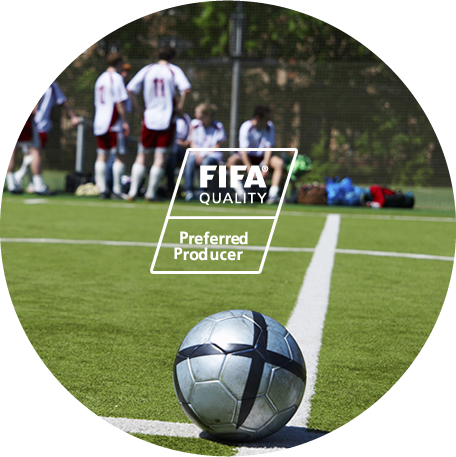 An installed pitch is eligible for FIFA Quality or FIFA Quality Pro certification. Professional support is offered for installation and maintenance. FIFA functions as a partner in case of any inquiries and can be contacted regarding any problems. More opportunities are offered for higher level and larger scale projects. what else can CCGrass offer you? CCGrass offers the following additional benefits to provide added value for our pitch owners. Professional advisory service from product selection to final installation. Free field design advice to facilitate your installation process. 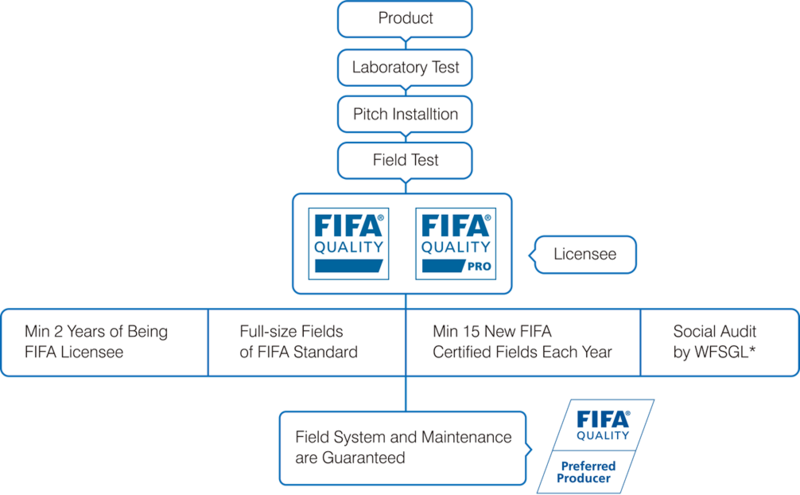 Global FIFA certified field references to help you choose your system. Arrange FIFA field tests for you. Free maintenance manual and professional guidance.